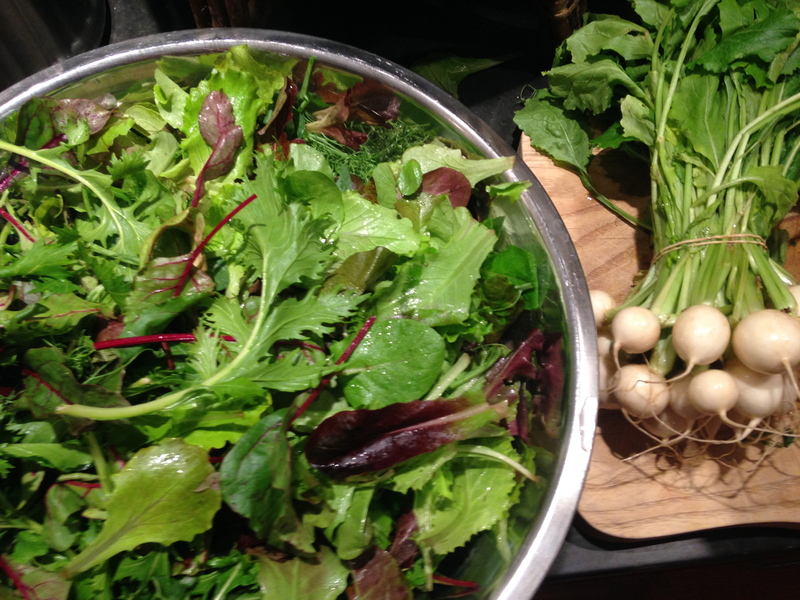 I am so glad I will not have to go without greens like this during the long cold winter. 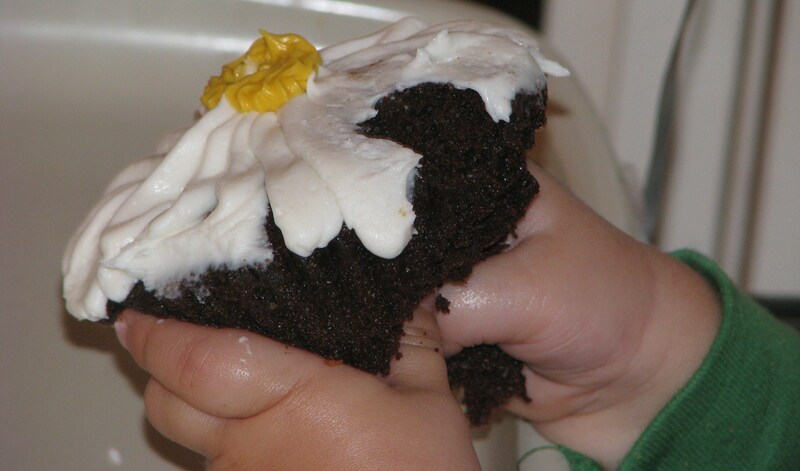 It’s not too late to sign-up for Everblossom Farm’s Winter shares. The first pick-up is this Saturday, November 16. You can find more information at the link below. And, please put one of these on your list for Santa — Chef’n “Herb ‘n Shears” from http://www.jcp.com. It has made it so easy for me to make salads we really love. 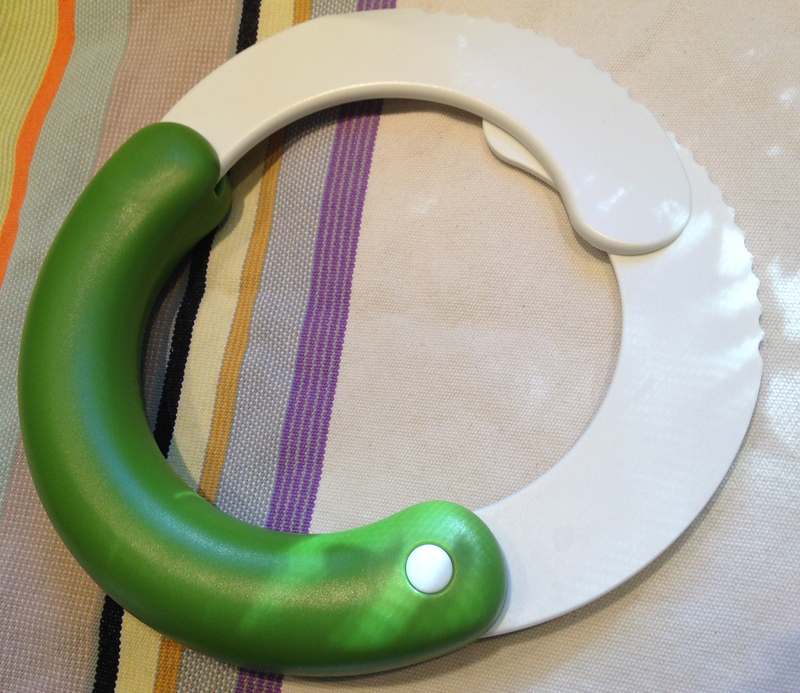 It’s serrated plastic, so use it right in the salad bowl and just push down to chop. Mmm, salad you can eat with a spoon. 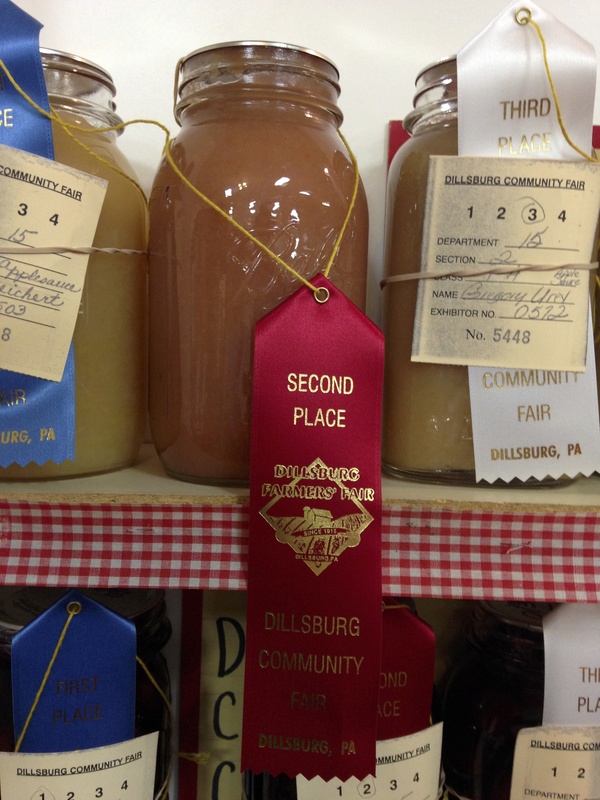 Our pretty pink applesauce placed second at the Dillsburg, PA Farmer’s Fair! This was not a taste test; it was a beauty contest. Elizabeth and I are very proud. We would like to thank Ben Wenk at Three Springs Fruit Farm for the pink and delicious Honeycrisp apples. We won a red ribbon, $3.50 (which we will share) and the the rights to call our stuff Award-Winning! ABOUT TOMATOES: In other news, our tomatoes did not place in the hotly contested category of “cut tomatoes”. 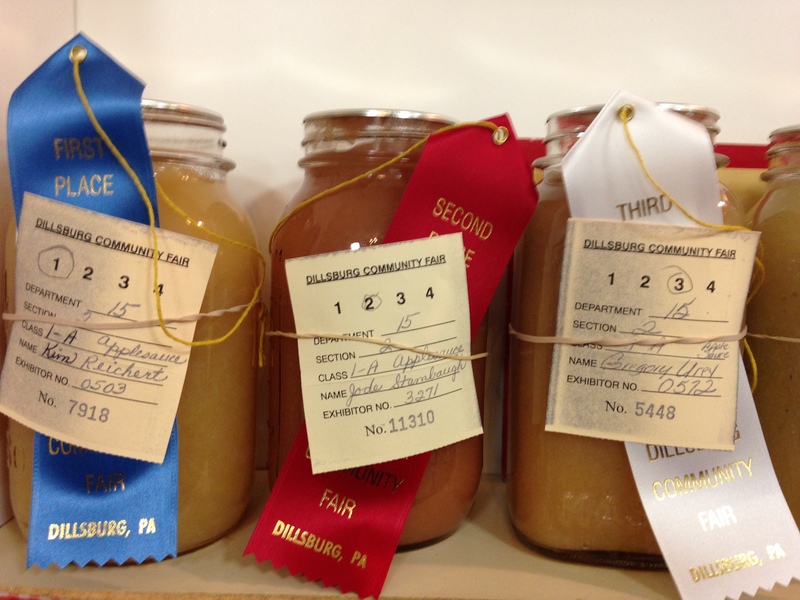 Again, it is a beauty contest and although we had an assortment of heirloom color, the judges seemed to like the jars with no seeds. I will have to dig deep within myself and determine if I have the patience to remove all seeds if I want to compete again next year.